Run through your top 10 favorite films from the 1980’s, and chances are that Corey Feldman will feature in at least one of them. From The Goonies to Gremlins to Stand By Me to The Lost Boys to Friday the 13th:The Final Chapter, his is a face a whole generation grew up recognizing. 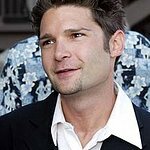 Recent viewers may recognize Feldman from The Two Coreys, a reality show on the A&E Network that also starred Corey Haim. 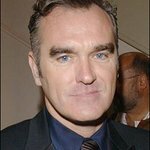 Since the late 90’s, he has also been enjoying success with his band, the Truth Movement, but it is charity work that keeps the actor and musician occupied for much of his time. With interests in animal welfare, environmental issues and several other causes, Feldman was awarded the Paws of Fame Award by the Wildlife Way Station. 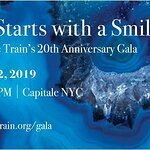 Look To The Stars’ reporter Brandy Reynolds was lucky enough to catch up with Corey recently to chat about his work towards making the world a better place. Hi Corey… can you tell us about some of the charities you support? I support a lot of charities, I’m very involved with several different charities on all different levels. I can kind of give you the hit list . I can’t really be selective. All are meaningful. At the top of the list would be the The Humane Society, PETA, Farm Sanctuary , Last Chance for Animals. All relatively related to each other. All related to animal rights and animal protection and health and welfare of animals. And there’s environmental… Greenpeace, Global Green, Save Our Earth… and cancer charities, children’s charities like Camp Rainbow, the Make-A-Wish Foundation. I try to lend my voice to those who don’t have a voice of their own. Which is why I talk about animals, children, or environment – because those 3 topics don’t have their own representative. Were you raised to think about others, or is there a certain event in your life that made you really want to get involved with charity work? I’ve always cared about others, I myself was raised in a very abusive house hold. I spent most of my life very poor – always living hand to mouth and figuring out where the next meal was coming from… that was a big part of my life. So that made me very sympathetic to the less fortunate; and my mother was a huge animal rights advocate. When I was a child working as actor she had me involved with a group called Actors and Others for Animals which was one of the first animal rights organizations based out of Hollywood. So I was involved with them very early on… probably seven or eight years old -running around rescuing dogs and bringing them to our home. Shortly after that we ended up with 30 dogs and 20 cats living at our ranch. We were really consumed with trying to save the world – and at that point of course no one was really doing what we were doing, there wasn’t really a lot of vegetarianism and animal rights activism. By the time I was 10 years old, I was resigned to the fact the I wanted to be a vegetarian for the rest of my life. However, growing up in a strict family environment, my grandparents where old Jewish traditional type people and thought I was crazy for wanting to be a vegetarian. It took until I was about 13 years old when I made the decision to be a strict vegetarian… and have been every since, and it’s been about 24 years for me now. What would you recommend others do to get involved and what can they do? There’s a lot you can do and it depends where you want to focus your time and energy. For me, I say anything you can do to help another struggling being [is great]. If you have the opportunity, just do it. That could mean anything from going down to the homeless shelters and feeding people, or if you have food you can go down to the homeless shelters and give it to them. You can hand out things to people on the streets – I don’t suggest handing out money because you don’t know what it’s going to be spent on. You can get involved , you can be come a volunteer at any countless number of shelters or abuse clinics or hospitals. As far as environmental causes and helping the world goes – become environmentally safer and more eco friendly. There are small things you can do at home, such as using only bio-degradable products, earth-friendly products, making sure you turn your lights off, separate plastic and metals… every little bit that a human being does can push us forward in the battle of trying to restore our earth. Do you feel Hollywood should set a better example? I think the wheels are in motion and it’s certainly a hot point that people are progressively thinking about escalating this battle to the next level and making sure that we are setting a example. If you look around, everything is green this and green that. But there’s always more that can be done. For example, I put out a album a couple of months ago with my band, Truth Movement, and we wanted to kind of raise the bar when it came to environmental products and doing things environmentally friendly. So we released it under my own label in order that we could release it on one hundred percent recyclable biodegradable materials – the package is one hundred percent recyable material, the tray is corn plastic and we used soy wheat to print the images. Our first single is called Green Is The Color, so right there that was a way that I made my mark with my band to set a example. Yes it can be done in the end. It cost us a little bit more , but it can be done. And it’s worth it because we are making a statement that we are not going to keep taking the easier softer way. What can we tell the people to look forward to and watch for in your up-coming projects? Theres a couple of things. We’re doing a live premiere of our record release party in which I just mentioned. It’s call Technology Analogy. That event is planned at the Key Club on April 10th . We are also talking to Weed Ware. They make materials out of weed instead of regular material. One of the things they focus on is they make all band materials out of weed. And we are now using all weed materials in our band (drum sticks and guitar picks). Another thing we’re doing – I can’t say that this is done yet – but we are trying to have all of our musical performances completely green. It’s not one hundred percent yet , but we are trying. On April 16 we are headlining an event at the Whiskey on Sunset which is going to be for the animal awareness week. So we basically have a series of events that are directed at raising awareness and financing efforts to stop animal testing. And on March 28, my wife Susie – who is also a huge animal and environmental activist (she is the one who got me involved) – will be presenting an award at the Genesis Awards at the Beverley Hilton. Look To The Stars would like to thank Corey Feldman for taking the time to talk to us and share his thoughts on making the world a better place. To find out more about his efforts and upcoming events, visit Coreyfeldman.net or Myspace.com /technologyanalogy.